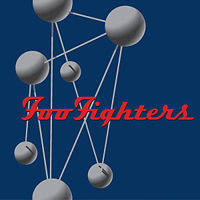 I'm hoping you'll bear with a self-inldulgent post today, as I have nothing to say beyond the following: The Colour and the Shape album by the Foo Fighters is now available for download for Rock Band. The tracks hit Live on Tuesday and the PS3 store on Thursday. You're looking at $20 for the full album or $1.99 per track. I happen to think it's a damn good album.